Humanoid robot is designed as an interactive family companion capable of accomplishing a range of typical household tasks. Alpha 2 stands 17 inches tall, is 9 inches wide and weighs about 5 lb. Alpha 2 can take pictures and videos, make calls, check voice mails, read and send texts and emails, and control WiFi-enabled office equipment. It can also post to your social media accounts using voice commands. Alpha 2, which is programmable and runs on an open-source OS, is connected to the cloud and leverages intelligent voice and perceptual systems to receive commands and execute corresponding behaviors. The robot is capable of simultaneous interpretation, voice search, visual interaction and providing verbal reminders. Unlike some of the other companion robots set to hit the market, such as Jibo and Buddy, Alpha 2 actually has legs to move around. 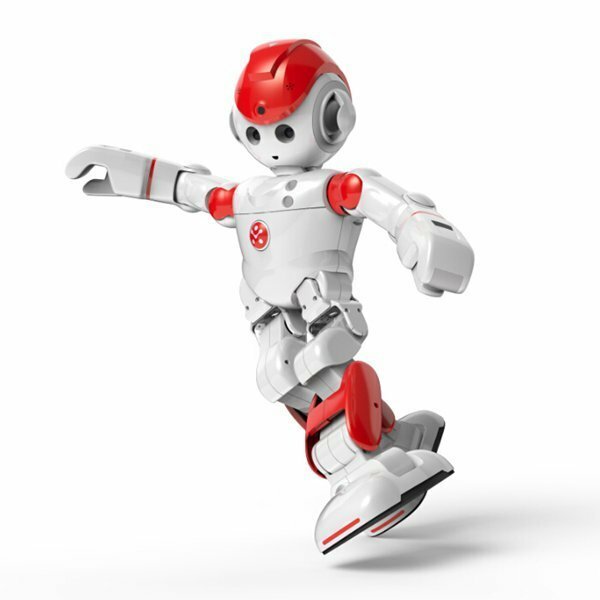 Alpha 2 has 20 servo motors that bend its joints, helping the robot be your personal dance partner, DJ, singer, yoga and workout instructor and more. Alpha 2, which can operate for “more than 1 hour” per charge, can also tutor children and entertain pets, remind you to take medication and will integrate with smart appliances like lights, locks, and security systems. Built-in intelligent voice system, voice chatting capability, simultaneous interpretation, voice search, voice relay, gives verbal reminders and receives verbal control capabilities. Cloud services platform, open interface and application platform, supporting VAPP application development to fulfill more of the customer’s needs.VAPP: Through APP’S voice commands and voice transfer, Alpha 2 receives vocal information and can carry out actions accordingly. Equipped with 2G memory and a six-core processor for power intelligent computing performance and smoother operation. Built-in infrared sensor, ultrasonic sensor, touch sensor, gesture sensor, acceleration sensor, etc., offering a brand new kind of interaction between human and computer. 8 Million-pixel camera, auto-focus, built-in powerful visual computing systems and smart technologies. 20 joints, with flexibility to simulate the movements of the human skeleton. Internal sensorTriaxial acceleration sensor, touch sensors, sonar sensors.